The diamond cut detailing of these sterling silver 18mm hoop earrings are a mix of one of a kind design with timeless style. 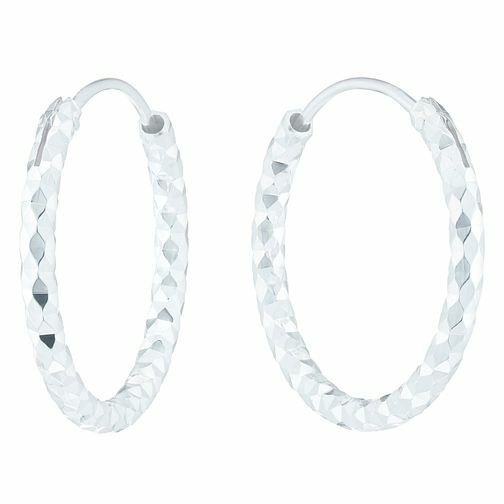 Sterling Silver Diamond Cut 18mm Hoop Earrings is rated 4.7 out of 5 by 11. Rated 5 out of 5 by Anonymous from from daytime sparkle to evening elegance a classy daytime accompaniment to casual wear as well as classy, sophisticated adornment for evening dress...and... comfortable enough to sleep in ! Superb value.